Well guys, another week has come and gone. Now that I am doing these Home inspiration and weekend reading, week 3 being today I am realizing just how quick the week goes. There is only so many hours in the day and I know we all miss out on some great content from home decor bloggers. I wish I could spend my days just going from one blog to another drooling over their content. But I have “responsibilities”. Of which include my kids, they demand eating three meals a day, laundry, my own blog and home decor projects, I do need to sleep. Ugh, adulting is so hard!!! This is why I adore sharing these other bloggers content on Friday, it gives me an excuse to look at other peoples home and ideas, I also get to share new people and ideas with you guys! I am in the mode of Spring big time. I actually just brought out a few small Easter decorations that I will be sharing next week. I do not do a ton with Easter as far as decor, but these paper flowers I made a while ago always seem perfect for this time of year. I had fun creating them with different colored and patterned paper. My kids even made a few of them. I may have to make more of these and share a crafting video. I guess I just added more to my weekend to-do list. Always creating something around here! Admittedly I do not create a ton of wreaths. I am not sure why because I love seeing them. 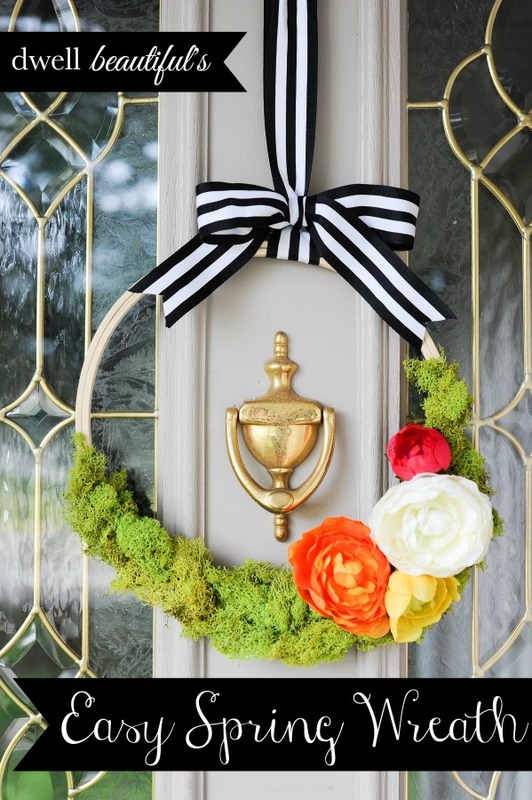 This one that Erica from Dwell Beautiful made is perfectly Spring-ish. I am loving the moss and that black and white bow on top. Such a great contrast. Dwell Beautiful is one of those blogs that you will get hooked on, so many amazing ideas. I love her simple approach to decorating her home and her use of bright colors. 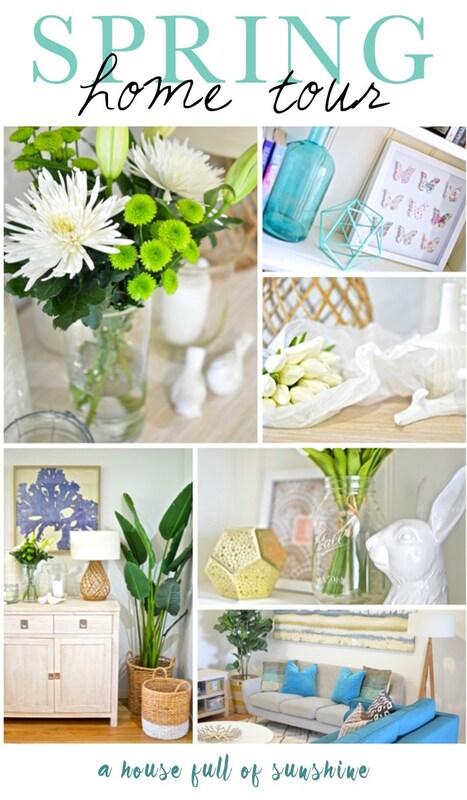 I love a good house tour, it is usually the first thing I will visit when I discover a new home decor blog. This one from Karen who blogs at A house full of Sunshine has one of those absolutely stunning homes! She uses some of my favorite colors, has shells and natural elements. Pretty much all of the tings I use in my home, what I am saying is I can easily visit her home and never want to leave. She has such a talent to mix patterns in her home, and blends them all beautifully. Guy, stop the presses! This is such a dreamy table that Susan from Love of Home created. I am loving all of the soft and nuetral colors, it has such a warm feel to it. I would love to go to a dinner party like this, or just set up my dining room table like this to be extra fancy! I just discovered this blog and am falling in love with her house and ideas. I have a lot more stalking exploring to do with her blog. I am hooked! I have always been a country decor girl, even falling into the shabby chic category for a little bit. However, over time I have started to adore a modern flair and lots of color. 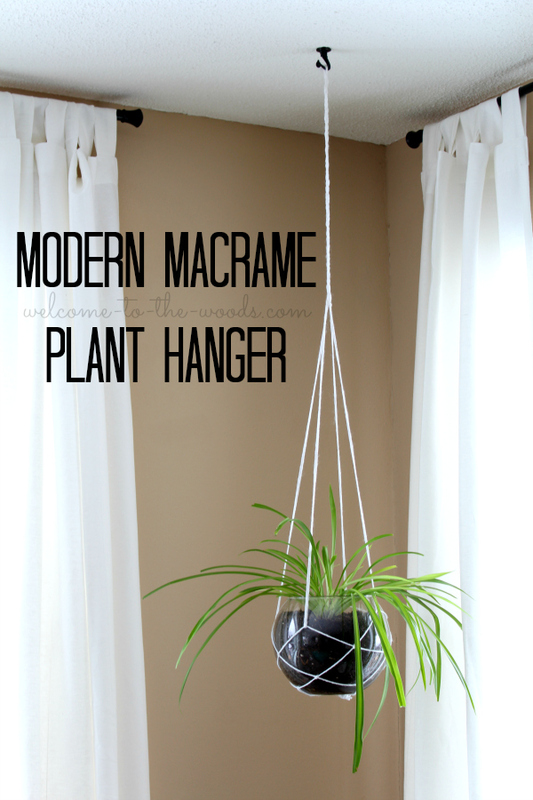 Melissa from Welcome to the Woods created such a cute and simple modern hanging planter. I really love this idea and think it could be great to use as a functional way to display some herbs you might use to cook with and grow. Melissa is such a sweet person and shared amazing ideas, her kids bedrooms are adorable and she is so talented with painting art and furniture. I love bags, totes, bins, baskets, anything that can store things in. My kids have a collection of bags to rival any well known bag lady. 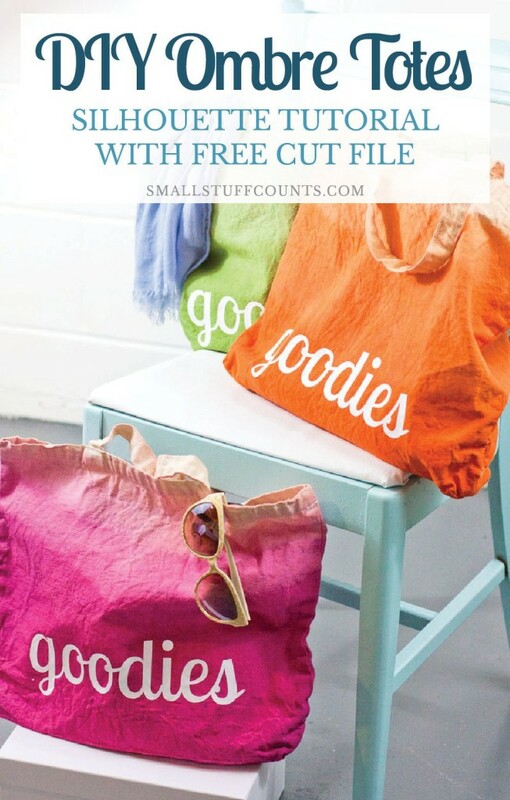 So when Emily from Small stuff counts shared these bags I fell in love. I want to make them so much! The bright colors are perfect for Spring and summer, when I find myself (and my kids) toting a lot of extra stuff around. I love to go to Emily’s blog for simple and creative ideas to decorate the home. On another note I think I need to do a round-up eventually of all of the home decor bloggers names Emily There is a lot of us in this niche. I am in great company though :). Ahhh, I hope you enjoy seeing what these talented ladies have to share and I am sure you will find tons of inspiration! 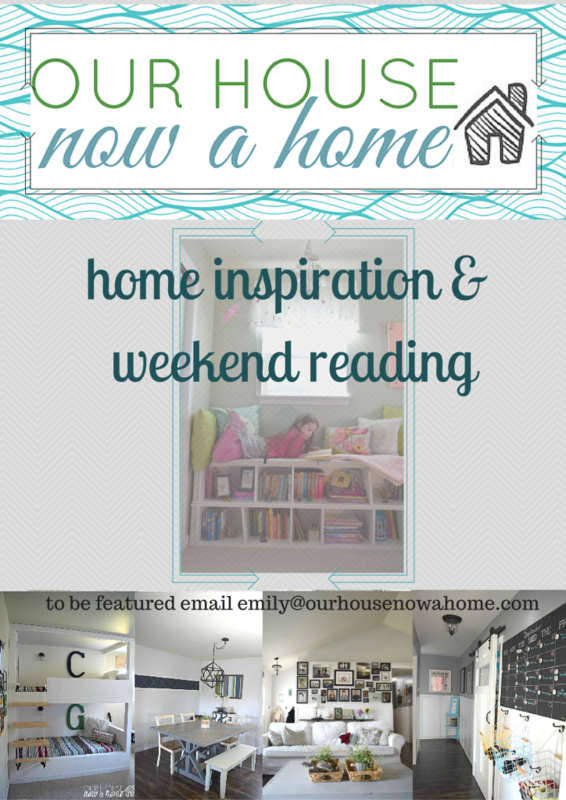 I hope you enjoyed this Home inspiration and weekend reading week 3, I know I always love to discover some new blogs. If you have a blog leaver the link in comments, I would love to check it out and maybe feature some of your content next week! I have so much going on this weekend, I spoke a little about it here. I am painting and building some new furniture pieces this weekend. I have now added a crafting video to my to-do list because I really do enjoy being busy, don’t get me wrong… I do love to be a couch potato, but my time is about the extent of a movie and then I need to be up and moving around. That is why blogging and home decor/DIY blogging is perfect for me. I have a million ideas and projects happening all at once. I would not have it any other way! Love these features. Great ideas. I am so happy you like them! I love the table setting! So simple yet pretty! That table setting is stunning! Thank you for sharing some awesome inspiration! I seriously want to make all of the projects you list here. I’m humbled you chose to include my tote project in this list. And there really are a lot of Emily’s out there, that’s so true! We should have an Emily only blogger meet-up or something. 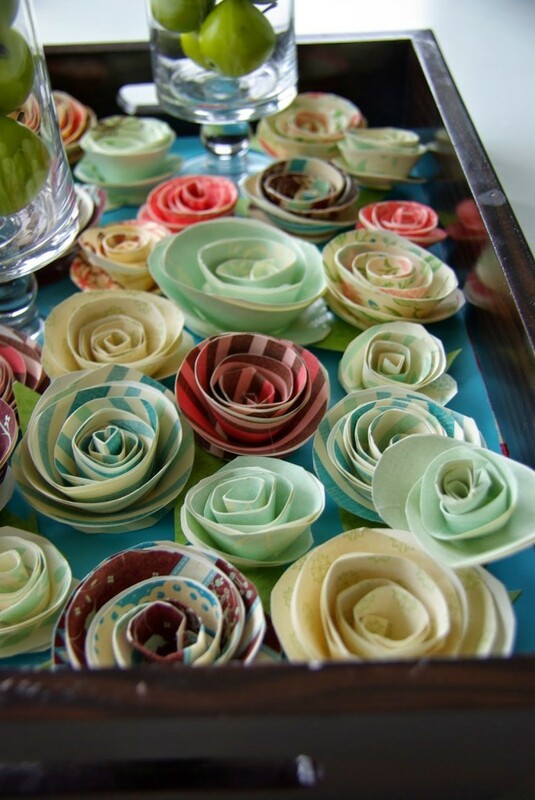 i love the paper flowers, just amazing, everything is so colorful and happy!